Tiffany Willson’s enthusiasm and courage have brought her a long way. She’s an entrepreneur at heart and her latest endeavor is an app that helps people everywhere find the furniture of their dreams. She has an affinity for whiteboards and learning to code and has a lot more advice to offer to anyone hoping to start a business. 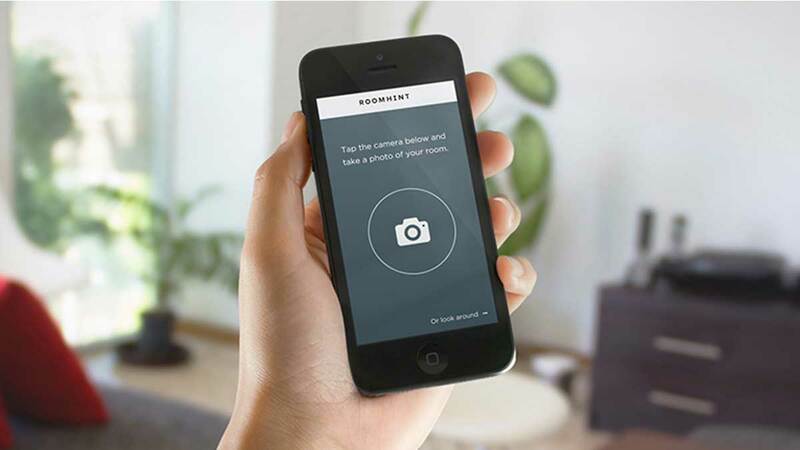 Talentedly: What inspired you to revisit your entrepreneurial roots with RoomHints? Tiffany Willson: At heart I have never left my entrepreneurial roots. After selling my business and graduating from University, I thought it would be best to get a job to learn how “proper” businesses were run. I knew how to run my own business, but in order to move to the next level I was advised to go work for someone else. I learned a lot, but it was not long until I was back on my entrepreneurial feet full time. TLY: Where did your interest in interior design come from? TW: My interest came from my grandmother. She was larger than life and the interiors of her homes had style, class and personality. She had five homes all around the world, which she meticulously designed. Her confidence shined when she was in her own home – I was hooked to learn how to learn everything about design. TLY: What has been the most challenging or most rewarding aspect of building your own business? TW: In startup life there are challenges everyday, but the main challenge was finding the right people to work with to help execute my vision. There are a lot of capable and talented developers. I was looking for candidates who had an interest in the problem I am solving, and were motivated to bring their technical expertise to work together as partners. Once you find the right team – you fly! TLY: What is the most important thing to keep in mind as you grow a team and build a company culture? TW: Why we are doing this? For us the “why” is building a solution that enables everyone to get access to interior design advice. An easy tool for the entire globe to improve their surroundings and be excited to go home everyday. TLY: What’s the biggest misconception about entrepreneurship? TLY: How would you characterize your leadership style? TW: My enthusiasm and courage motivates people to work ridiculously hard. TLY: What is the best piece of career advice you’ve ever received? TLY: If you could travel back and speak to your younger-self the day you graduated from Queen’s University, what would you share with yourself? TW: I have five pieces of wisdom that I would share with my younger-self the day I graduated. First is to stay focused on your goals and not to stray too far from this focus. Create timelines for each goal. If you don’t reach the goal, that’s okay and valuable because it means you have learned a key data point in what you want to focus on. Quickly change your focus based on your learning and create new goals. The second is to keep fear close by. Fear is good. It helps you to grow and it can help to track how you feel about your progress in life. Once you no longer have a certain fear, aim for a new one and repeat. The third is to never stop learning new coding languages. Be diligent and set three hours per month to code. The fourth is to listen to advice but always make your own decisions. Just because you are getting advice from someone you admire and look up to, do not feel pressured to do what they say. Do not feel that if you don’t take their advice you won’t be successful. Believe me, if you fail making your own decisions you will be less hard on yourself than if you fail from taking someone else’s advice. And lastly, buy more whiteboards. Have a whiteboard in every part of your home, office, and world. Ideas need to be thought out, drawn out, and written out. Flush all your ideas to the nth degree. TLY: What do you think people should do more of to develop their careers? TW: Get outside your comfort zone. Go to events where you know no one, meet new people, and learn different perspectives. Lydia Loizides is serial entrepreneur, technology provocateur and relentless challenger of the status quo. She spends her days as Founder & CEO of Talentedly, a technology company on a mission to help people grow from good to great at work (technology + people = amazing results). The rest of her waking moments are spent running, reading, learning, and trying to prove that the answer to the ultimate question of life, the universe and everything is 42. You can follow Lydia @lydiaNYC @GetTalentedly, on LinkedIn and the Huffington Post.